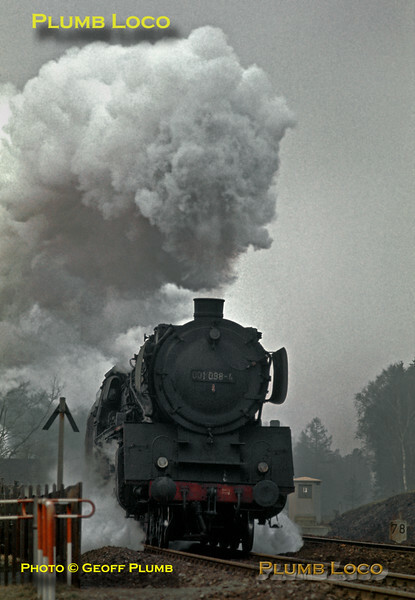 Under a leaden grey sky, unrebuilt 01 4-6-2 No. 001 088-4 pounds up the 1 in 40 of the "Schiefe Ebene" from Neuenmarkt-Wirsberg to Marktschorgast in charge of E659, the 14:06 semi-fast train from Bamberg to Hof, a diesel banker is assisting on the rear of the train. April 1972. Slide No. 8200.